Sexual health education interventions have generally yielded modest impact, but may be more successful when integrated into programs designed to alleviate poverty and empower women. Between December 2017 and February 2018, we interviewed 304 Haitian female microfinance clients, 75 of whom had received health education training delivered within their regular meetings. Participants reported six key sexual health outcomes. We used log-binomial models to estimate the association between health education training and each outcome, and tested for interaction by age and literacy status. 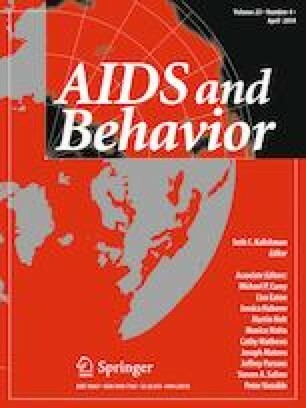 Women with health education training reported more condom use with unfaithful partners [PR (95% CI) 1.78 (1.04, 3.02)], more HIV testing [PR (95% CI) 1.56 (1.28, 1.90)], and fewer STI symptoms [PR (95% CI) 0.37 (0.19, 0.73)], compared to women with no training. Some of the associations were stronger among older women [e.g. HIV testing: PR (95% CI) 2.09 (1.49, 2.82)] and illiterate women [e.g. condom use: PR (95% CI) 3.46 (1.05, 11.38)]. These findings add to the growing body of evidence demonstrating the potential to use microfinance programs as platforms for health education delivery, and provide the first evidence for the association in Haiti. The authors are very grateful to all involved in the field research and data collection activities including fieldworkers (Phidler Etienne, Donald Louis, Roltila Antoine, Keketie Ibo Nella Leopold), the Fonkoze Okay branch manager (Jn Moise Jean Pierre), and, most importantly, the study participants themselves. This project was supported by a Project Development Team within the Indiana CTSI NIH/NCRR (Grant Numbers UL1TR001108, PDT 744) and by the Indiana University Vice Provost for Research through the Faculty Research Support Program. Reginal Jules and Florence Jean-Louis are employed by Fonkoze. Molly Rosenberg, the corresponding author, had full access to the complete dataset, was responsible for data analysis, and had the final responsibility to decide to submit for publication. UNAIDS. Country Fact Sheet: Haiti. 2017. http://www.unaids.org/en/regionscountries/countries/haiti.